Magnetic Flowers have released two new songs from their upcoming album that sound nothing like Magnetic Flowers. 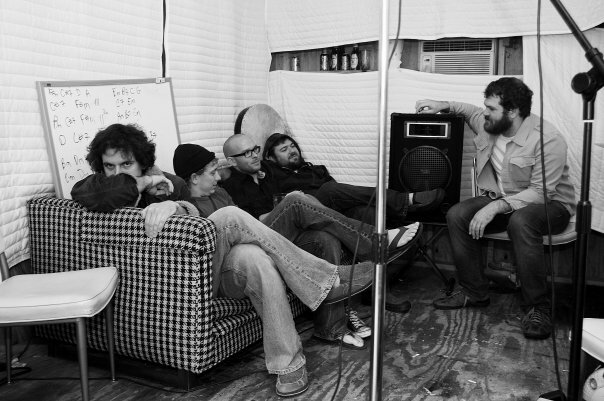 In May of this year the band kickstarted the final stages of their upcoming album titled Old, Cold. Losing It., but once you hear these two songs you’ll get that the band is far from losing it. Flowers fans, and SC music enthusiasts were first introduced to the updated material through our 2013 SceneSC sampler with a version of their new song “Trout Fishing in America.” The version released here is fresh mix of that song. “Whittle It” is a heavily processed slow burner featuring tasteful ambient layering and enlightened lyrics. The recording of this album has covered the past two years and two studios including The Jam Room in Columbia, and the studio of Jeremy Davis (Elonzo) in Charlotte. This album is setting up to be their opus. Welcome back Magnetic Flowers.